This guide provides an overview of the Oklahoma Health Insurance Exchange including the history of the exchange, how the exchange will operate, and exchange information for Oklahoma residents and small businesses. 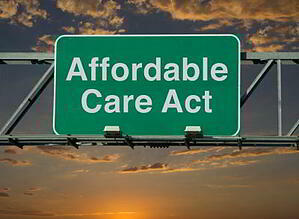 Beginning in 2014 as part of the Affordable Care Act (ACA), health insurance coverage for individuals and small businesses will become available through new state health insurance exchanges (also called the state health insurance marketplaces). Oklahoma will default to a federally-facilitated health insurance exchange. The Oklahoma Health Insurance Exchange will open for enrollment on October 1, 2013, with coverage starting January 1, 2014. Originally, Oklahoma established a Joint Committee on Federal Health Care Law to evaluate how to set up their health insurance exchange. The Joint Committee originally recommended establishing a state-based exchange for small businesses but not for the individual market (similar to the Utah Health Insurance Exchange). A bill reflecting these recommendations was introduced in the 2012 legislative session, but failed to pass. In November, Governor Mary Fallin announced that Oklahoma would default to a federally-run health insurance exchange. In her announcement, Governor Fallin also stated that Oklahoma would not participate in ACA Medicaid expansion. Source: Click here for the Governor's November 19, 2012 press release. Oklahoma Health Insurance Exchange - What is It? The Oklahoma Health Insurance Exchange will be operated through a federally-run health insurance exchange, also called the Health Insurance Marketplace. Starting in October 2013, Oklahoma residents will be able to access information about all the plans available through the Exchange. The SHOP Exchange will also be available to Oklahoma small businesses with fewer than 100 employees. A key part of the Oklahoma Health Insurance Exchange is that eligible individuals and families will be able to access individual premium tax subsidies, capping the cost of their premium between 2% to 9.5% of income. Individuals qualify if their household income is up to 400% of the federal poverty level, and they are not offered qualified, affordable insurance through their employer. The Exchange will also screen for Medicaid and public assistance programs. According to an estimate by healthcare.gov, 646,500 or 20% of Oklahoma’s non-elderly residents are uninsured. Oklahoma officials estimate that ~210,000 Oklahomans will be eligible to purchase insurance through an exchange. Source: Click here for more information on the Oklahoma Health Insurance Exchange. Oklahoma Health Insurance Exchange - What Plans will be Available? All plans offered through the Oklahoma Health Insurance Exchange will meet the ACA definition of a Qualified Health Plan (QHP). The plans will be offered by level of coverage for essential health benefits (EHB), to allow consumers to compare plans on an "apples to apples" basis. The Oklahoma Health Insurance Exchange will follow federal guidelines for insurance professionals selling policies through the Exchange and for navigators assisting consumers and small businesses. Further details on the Oklahoma Health Insurance Exchange insurance broker and navigator programs are expected this summer.